In the summer of 2017, one of the founders of Velasca Milano had posted in a thread on StyleForum that they would be offering a discount for sharing some honest feedback surrounding their brand and products. Eager to continue my journey into quality footwear, but lacking an infinite budget I decided to purchase two pairs. The quality of construction and materials used was very impressive for the price point. The leather was initially a touch stiff, but became soft and supple with a short wear. 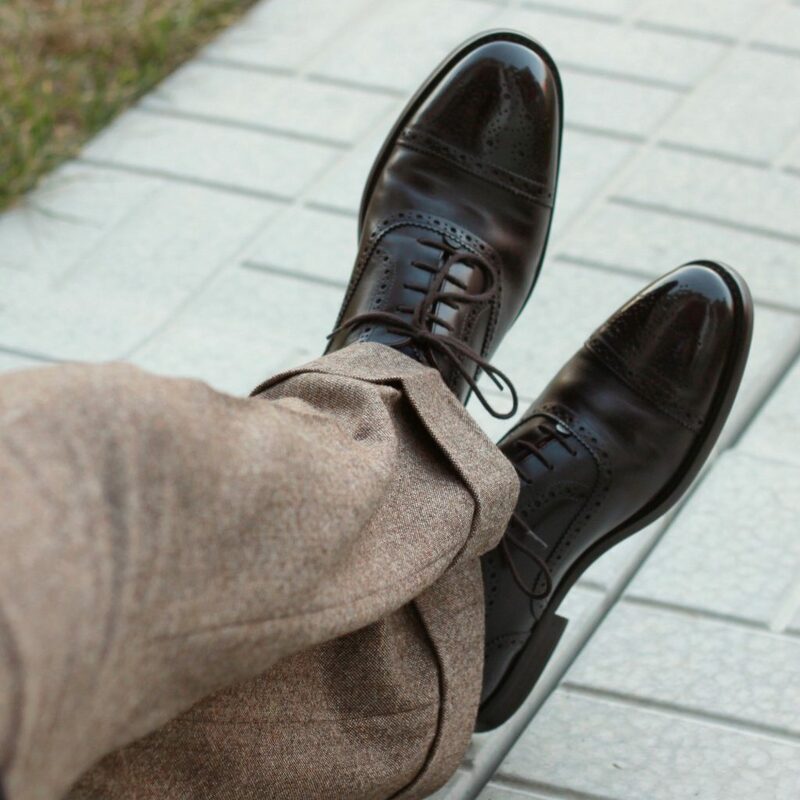 There were no visible marks or blemishes on the upper, the stitching was even all over, and all the brogueing was well executed and clean cut. Vibram sole is a nice touch. Style wise, it is a fairly classic and conservative last shape. A sleeker, almond shaped toe would be more to my taste as this one does appear quite round – though this effect is more apparent looking at the shoes on their own, and diminishes when worn. There is a subtle beveling to the welt that really compliments the overall shape. I found the toe box and heel to be quite roomy. They advise to order TTS, but I think I’d be happier a half size down (from 43 to 42.5 – I selected this size on a subsequent order and it was the right choice). My only nitpicks are small: the laces feel cheap in comparison to the rest of the shoe, and the shoe bags that come with them are made from a scratchy material. Again, I was quite impressed with the construction and materials used. 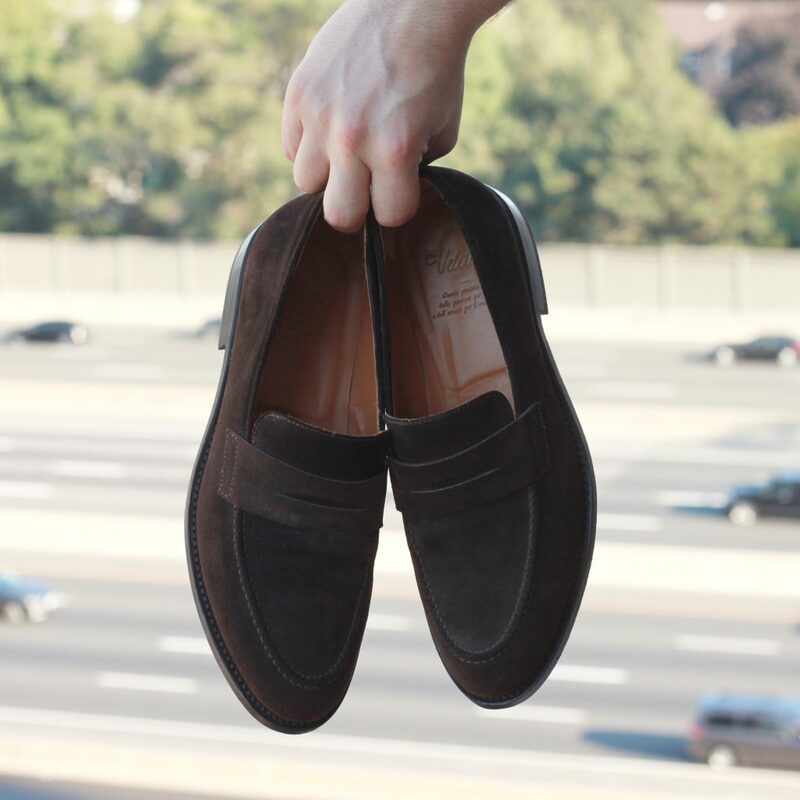 The suede has a great colour and softness to the nap, and showed up with no scuffs or marks. The leather soles are light, and supportive without being overly stiff. 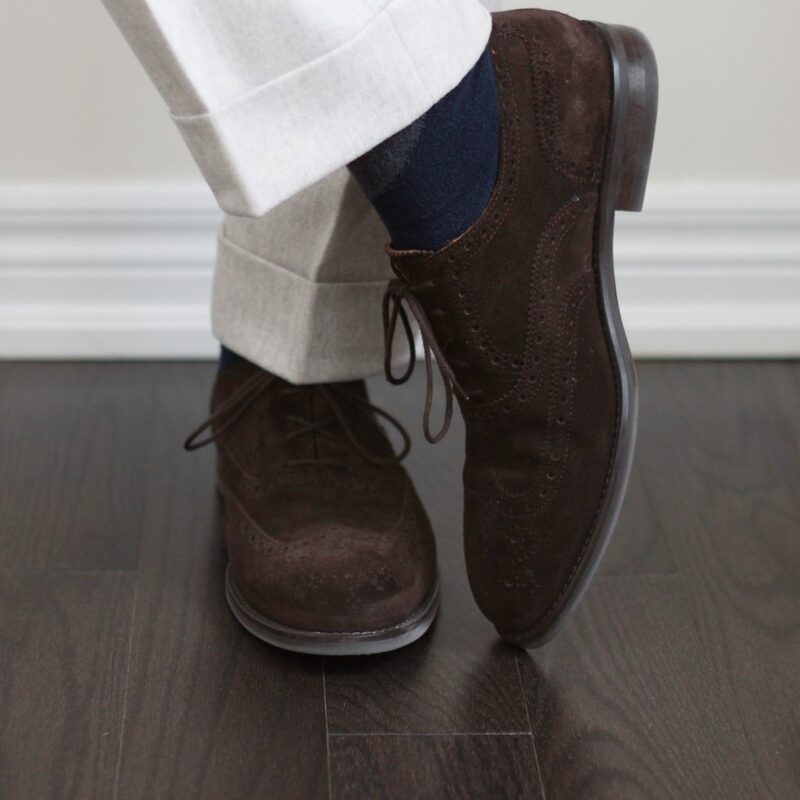 I immediately liked how simple the styling was – just a modern take on a classic penny loafer design. Overall, a bit roomy – I’d assume it’s made on the same last. For the loafers I would definitely recommend a half size down. Overall, I’m very happy with both purchases. So I’ve owned these shoes for about 6 months now, and I’m still quite pleased. I did have a small finish issue develop on the toe cap of one of the Brumistas, but the customer service at Velasca responded quickly with the offer to cover the cost of a local repair. I was able to get them back to better than new condition. The shoes are quite comfortable, though after wearing them for the last 6 months, I think sizing down 0.5 as I mentioned above will be my selection moving forward. I haven’t yet replaced the laces with anything nicer yet – partly because I find many dress shoe laces come undone all the time, and these ones don’t, though they don’t look very dressy to me. The loafers have broken in beautifully. They are light and comfortable, and the suede still looks fresh. I really hope Velasca comes out with some lighter shades in this model next year. A nice snuff or tobacco colour would be awesome. I also picked up a third pair. I was really looking forward to picking up a pair of suede shoes in a nice chocolate brown. I saw these on Velasca’s site, and was attracted to the wingtip design and the fact that they featured a Vibram sole. I did size down from a 43 to a 42.5 on these ones, and they feel much better. I think they look a little bit better too – I’m assuming all their shoes are on a shared last, but the toe box on this one seems less round and roomy than my Brumistas. I’m thrilled again by the quality of construction and materials used. The suede is extremely soft, and neither of the shoes showed any signs of wear from shipping. At this point, I would highly recommend Velasca Milano to anyone looking for stylish, well made dress shoes that won’t break the bank. Check em out!